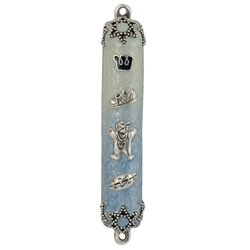 Cute pewter mezuzah enameled in blue. 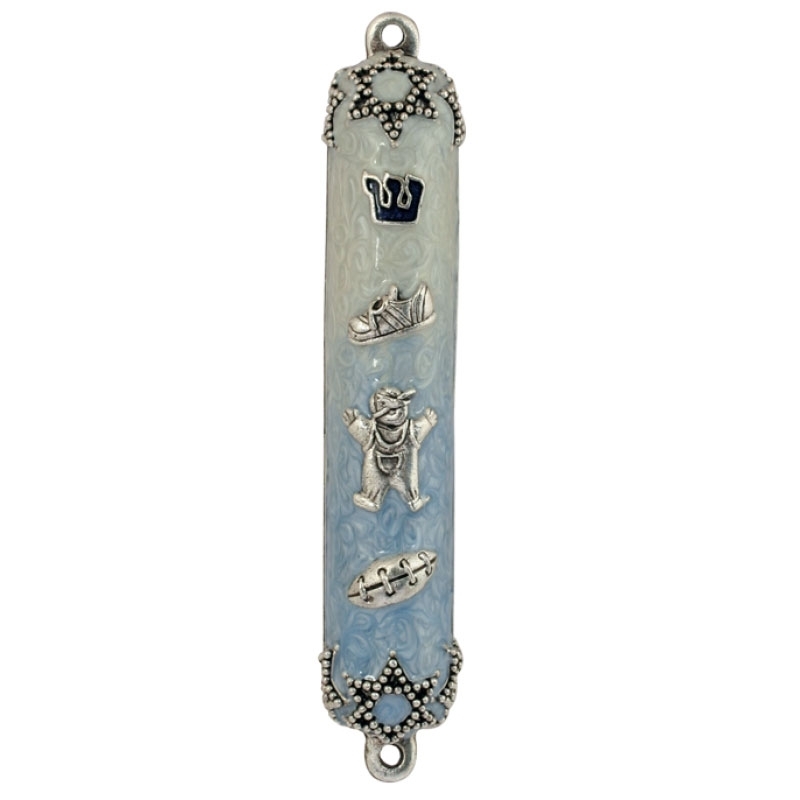 Measures 3-1/2” H. Will accommodate a small (#281) parchment. Parchment not included.